We hope you like shining morning to night! Featuring almost twice as many facets as the traditional 57-facet round brilliant, the Aurora Star CZ is made for 24-7 sparkling. 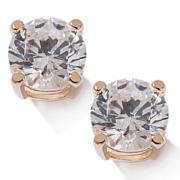 Enjoy a super-wearable standout stud made to whisk you from lunch-hour to happy hour and beyond. These sparkle beautifully and are not over the top large. I do still have to wear a disc so they don't tip forward, but I always do so no big deal for me. Another great price, thank you HSN!! 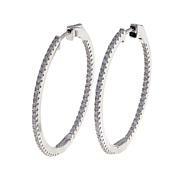 The earrings are very attractive, the backs are big enough to balance the studs to make them set on the ear lobes properly. I am very happy with them and I intend on wearing them instead of my real studs. I have had several complements on them since I started wearing them. 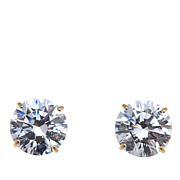 I compared these CZ earrings to my real ones and you really can't tell the difference. I had these for a few months now and have showered in them forgetting to take them off, but they are still as beautiful as they were when I bought them. I've bought similar cheap earrings from a supply house, but the setting always starts to tarnish and the stone is never as real looking as these. I found my real ones, but I still like wearing these. Thank you for making something this beautiful so affordable. These are large and stand out. The sparkle and shine is almost unbelievable. I've bought all three sizes. I love them all. 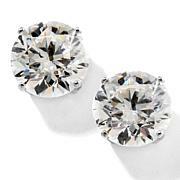 This is the perfect large Stud earring.You won't regret what ever size you buy. 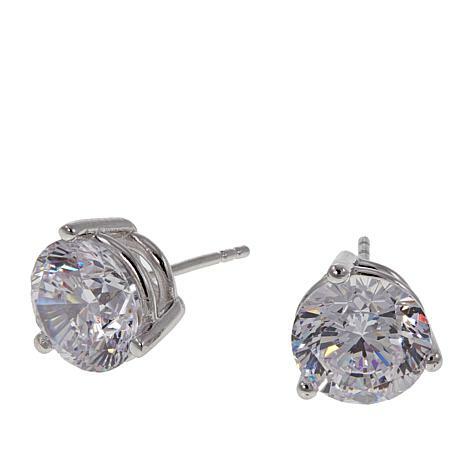 These are incredibly sparkly, very comfortable earrings. These have gotten noticed every time I wear them. Love the bigger size and beautiful quality! Love the new aurora line!